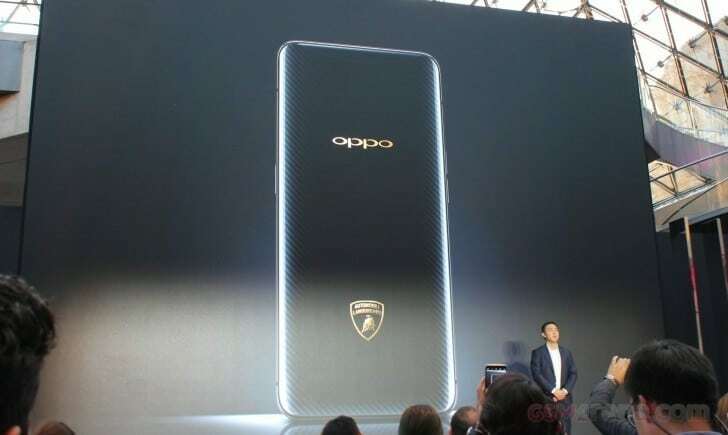 Oppo Find X Lamborghini Edition was launched alongside the Find X we reviewed a couple of days ago. 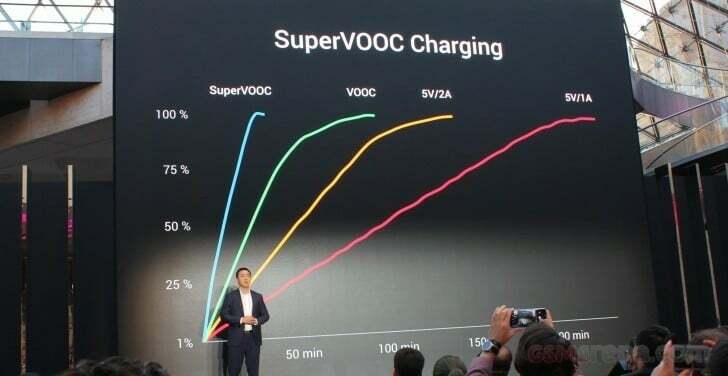 The Lamborghini Edition is world’s first ever smartphone with the SuperVooc charge. This means the battery on this beauty can go from 0-100 in just 35 minutes. Apart from the fast charging feature, everything on the device looks like what we saw on the Find X. It has a slider, which pops-up when you’re in mood for photography or want to use the Face ID. However, the internal storage space has been expanded up to 512GB. Lets find out more. 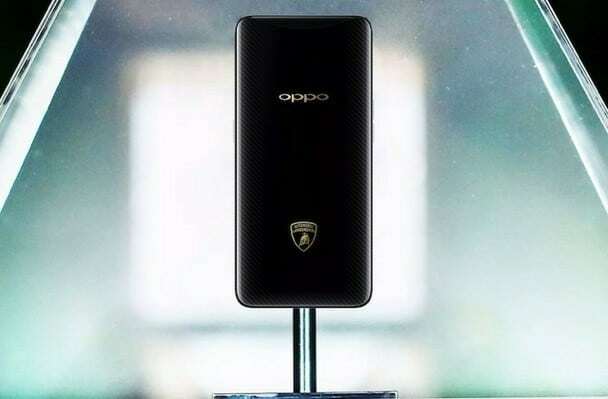 What is Oppo Find X Lamborghini Edition Price and Availability Status? Unlike what we saw on the Find X, the Lamborghini Edition sports a carbon fiber back that has rugged-like holes and provides a firm grip. Of course, the Lambo badge is present, as the company makes the collaboration known. There’s no fingerprint scanner as usual, so expect to see more pop-ups from the slider above for the 3D Face ID. Turning to the sides, it measures 9.4mm in thickness and weighs 186g overall. It’s available in only the Black color. The front is still the same with the Oppo Find X, there’s no notch or bezels here at tall. Even the almighty bottom chin is at its lowest as well. It dishes out a unique 19.5:9 aspect ratio and literally expands your horizons. It’s built around a tall 6.42-inch FHD+ AMOLED touchscreen which boasts of 1080 x 2340 pixels in resolution and 401 pixel per inch density offering immersive visuals. Impressively, the screen also stretches up to 92.25% screen to body ratio with a Corning Gorilla Glass 5 on top. It adopts the Snapdragon 845 chip from Qualcomm, this has a 10nm process technology for the best power efficiency. The chipset comes with octa-core processor which clocks at a blazing speed of 2.8GHz, while the Adreno 630 dominates graphics. There’s a massive 8GB of RAM for multitasking of all your heavy apps and files. The memory speed clocks up to 2GHz so there should be no slow-mo. A massive 512GB storage space is available as well with no option to upgrade further. It runs on Android 8.1 Oreo with ColorOS 5.1 skin. Once you open the camera app, a slider pops-up housing dual 16MP + 20MP rear shooters. These cameras has f/2.0 aperture, 1/2.6″ sensor size, 1.22µm pixel size, PDAF, OIS and f/2.0 aperture, 1/2.8″ sensor size, 1.0µm pixel size respectively. There’s a dual-LED dual-tone flash in-between the cameras, you can also shoot 4K videos @30fps, 1080p@240fps and 720p@480fps. While the 25MP selfie camera has f/2.0 aperture as well and supports Face ID. Powering the Oppo Find X Lamborghini Edition is a 3400mAh non-removable Li-Ion battery with fast charging technology. With the fast charging feature, charging the battery from 0% to 100% shouldn’t take up to 40 minutes. The Oppo Find X Lamborghini Edition is available on Shopping stores, starting from $1,999 (N700,000) to $2,199 (N770,000). 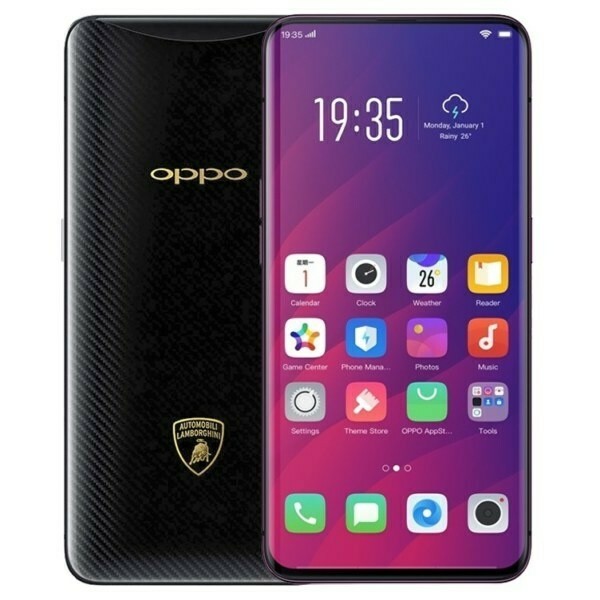 Click on the links above to view the latest Oppo Find X Lamborghini Edition price & availability on Shopping stores. Oppo Find X Lamborghini Edition was launched alongside the Find X we reviewed a couple of days ago. The Lamborghini Edition is world's first ever smartphone with the SuperVooc charge. This means the battery on this beauty can go from 0-100 in just 35 minutes. Apart from the fast charging feature, everything on the device looks like what we saw on the Find X. It has a slider, which pops-up when you're in mood for photography or want to use the Face ID. However, the internal storage space has been expanded up to 512GB.